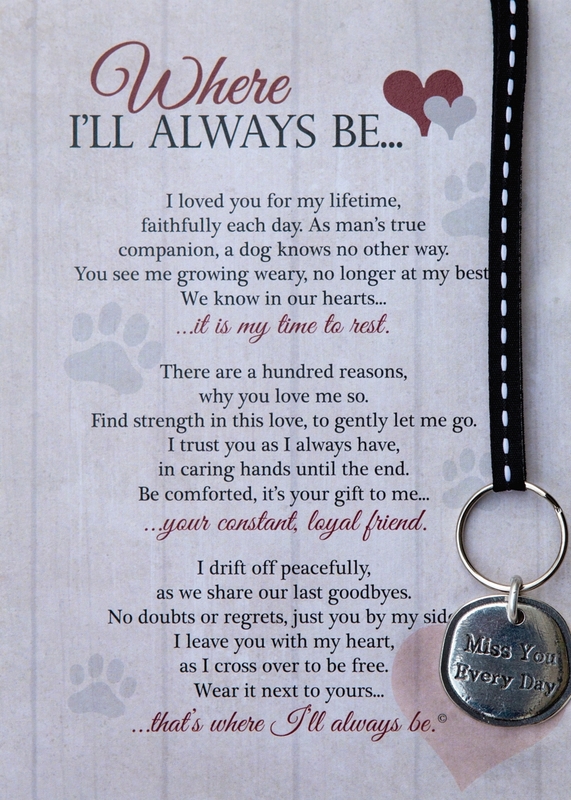 A touching pet memorial gift for an owner who had to help their dog say good bye. 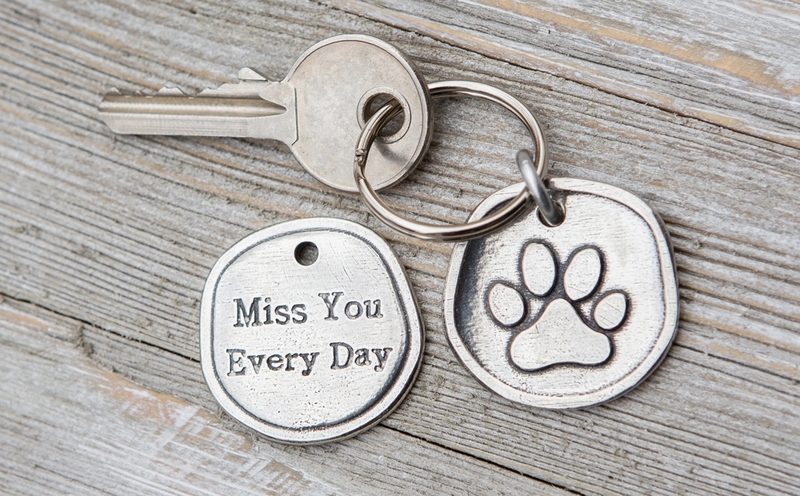 The pet keychain features a handmade 100% lead-free 1" token, with designs on both sides, a pawprint and sentiment, "Miss You Every Day". Our popular pet poem, "Where I'll Always Be" sentiment is printed on a 5x7 notecard and includes an envelope. This pet bereavement gift is packaged and ready to give to anyone grieving the loss of a beloved dog. "Where I'll Always Be" written by Teri Harrison will comfort a pet owner who had to make the decision to put a beloved pet to sleep. 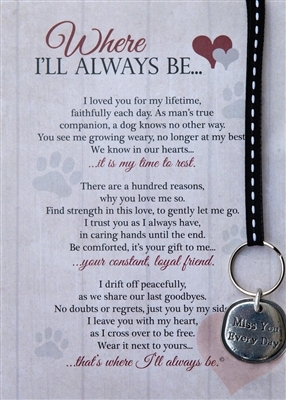 The keychain will be a daily reminder of their dear furry friend, who will always be deeply loved and missed every day. Made in the USA.